Wooo hoooo, one day closer to the weekend!!! Hope everyone is enjoying their week so far. I would like to say hi and welcome to all my new followers. I am relatively new in this polish world and I hope that you will enjoy what you see. Want to see something in particular, then tell me about it and I will try to make it happen!! 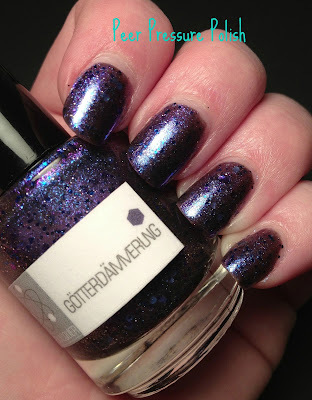 Today's polish is New Lacquer Götterdämmerung. Ahhhhhh, Nerds...... I love them so much. Yes yes there's a lot of hub bub in the polish over Nerds, but I just can't resist trying to score some when the shop goes up. This time I was able to get this one and Rhinegold. This is two coats Götterdämmerung over Duri Rejuvacote and topped with Glisten & Glow HK Girl. I wish I was able to capture the color shift in this, it is so pretty! 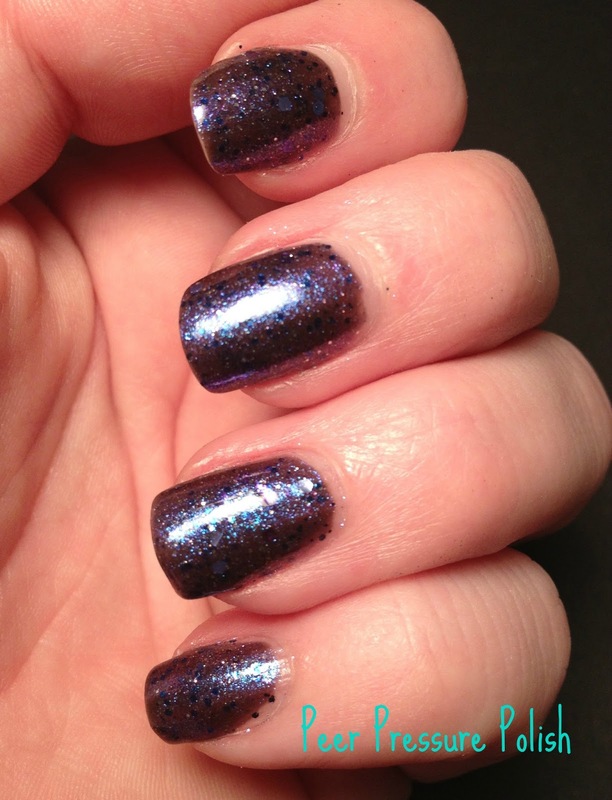 What do you think about Nerd Lacquer, like or leave it? But we all know they are like finding unicorns, good luck! Its a nice dark color!